Ekal movement aims to help eradicate illiteracy from rural & tribal India by 2011. The Ekal Foundation is the biggest non-governmental education movement in the world and has now reached all states in India. At present, with the help of over 23,189 teachers, 5,000 volunteers, 20 field organizations Ekal Vidyalaya movement strives to create a network of non-formal schools that will not only provide basic education but also provide health care, village development & empower education. For further information or any concerns you may have please contact Ram Nehra, VP New England area, at 401 848 2024. Last year Ram Nehra raised over 132,000$. On the evening of 22nd September, more than 1000 people gathered at the Natick High School to witness and participate in the Saptaswar Interactive Musical Night. This was an event of live music and dances by more than 300 artists/stage performers and was arranged by Saptaswar - our most popular New England music group, along with well-liked dance groups from the New England area. On-stage audiovisual displays coordinated by Tej Singh & group (Video, Light and Sound Moderator) were projected simultaneously on 5 drop-down screens that were well placed within the auditorium, providing the audience a colorful and psychedelic ambience. Bright, ethnic, high-fashion costumes with very innovative choreography were the other highlights of the evening. The recreation of Mughal E Azam settings on stage, the colorfully decorated auditorium and the lobby areas were the work of Shobha Shashtry (AlankarDecors). And the coordinated display of movie clips by Dr. Anil Chawla that accompanied some songs being performed made the entire event perfectly “bollywoodish’. The large scale of the program was made possible by the generous sponsorships of many individuals, and such sponsorships also allowed for the release of a colorful descriptive event brochure & purchase of ultra-modern gadgets. Charitable donations from Hemant Gupta and Arun Agrawal helped acquire specialized light & sound system for the event. The Saptaswar Interactive Musical Night was held to raise funds for the Ekal Vidyalaya Foundation, an organization that endeavors to create a network of non- formal one-teacher schools (Ekal Vidyalayas) to eradicate illiteracy and educate and empower children in rural and tribal India, thus helping children from the poorest and disenfranchised population of India. Cost of adopting each Ekal school is a dollar-a-day or $365 a year, which helps support a single teacher instructing 30 children. Bharadwaj, Shikha Vajpayee and Sailashri Parthasarathy. With each performance, they had the audience enthralled and joining in as they presented some ever-green old and new bollywood numbers. Christy Mathew's innovative remix version of the popular sixties seductive number 'Roop Tera Mastana' not only surprised and fascinated the audience but had them singing along as well. Bharati and Mitali Biswas’ group opened the dance segment with Om Nama Shivaya (Banaras) and danced to live music by the Saptaswar group for songs reputed for their heavy orchestra element like Woh Kisna Hai (Kisna) and Mitwa (Lagaan). Jasmine Shah’s ‘Aangikam Dance Academy’ performed Barson re Megha (Guru), Rangde (Thakshak), O Sikandar (Corporate) and Mangalam Ganesham (Dev). Swati Mukherji and Sunita Malhotra (Indian Association of Merrimack Valley) presented dances from Mughal E Azam (Pyar kiya to darna), Dil hi to hai (Laaga chunari mein daag) and Shri 420 (Ramayya Vastavayya); and a fashion show through music and enactment of Bollywood heroes & heroines taking us from the golden years of black- and-white cinema to the hip-hop beats of today. LEHEREIN – a group of choreographers that support noble causes, brought the stage to life with nearly 60 dancers who seamlessly shuffled through a medley of songs depicting the journey of Bollywood times form the early fifties to its current days. Darshana Jani’s ‘The Performing Arts of New England’ showcased younger artists dancing to yet another medley of more recent blockbuster hits. The audience was also uplifted by the immense energy of Bhangra dance & music that was performed by two groups. Reshma Singh’s ‘Bhangra Beats’ had many adorable children dancing with vigor to bhangra hits from old and new films. Rohit and Priya Bhambi’s ‘Boston Bhangra’ item was an interactive one, with the audience participating with great enthusiasm as Rohit skillfully involved and guided them through the various Bhangra vocals and moves. And under the able hands of the emcee, Swathi Subramanian, this program of interactive dance & music was perfectly knit together while keeping the audience drawn in. A large group of dedicated volunteers (Amit Roy, Nikki Khatra, Ruchi Munshi, Sadhna Gupta, Vaibhav Dabade, Bikash Verma, Dilip Verma, Sukumari Mohan, Rishi Kapoor, Vishvajit Puri, Himani Chawla and others) along with few Natick High School staff & students ensured that there were no hiccups and glitches with any segment of the program. Good, sumptuous food, catered by Gourmet India was served under canopies. The success of the program was seen as the audience continued to cheer all through the evening while simultaneously reeling in sponsorships for Ekal Vidyalaya schools. An astounding 110 EKAL schools were sponsored by truly altruistic members of the audience, bringing the collection to over $40,000 by the end of the night. This was an enormous achievement which was also largely in part due to the extremely benevolent & philanthropic hand of Smt. (Dr.) Savitri & Shri. Prabhu Hingorani of Massachusetts who unwaveringly matched every school sponsored during the program. The Interactive Musical Night by Saptaswar under the dedicated & sound leadership of Dr. Anil Chawla & Dr. Mohan Somasundaran, provided a memorable and unique experience for New Englanders. And the coming together of this group has helped in funding education for over 3500 tribal children in India, a success that is gladly shared & celebrated by all who participated in this event. 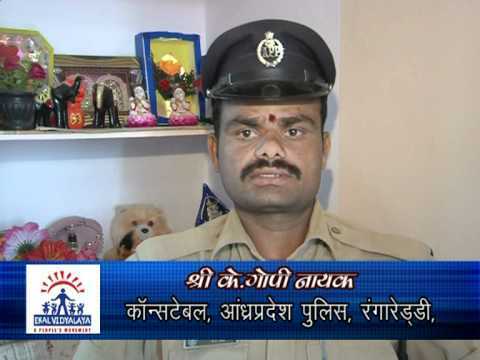 For further information on EKAL or SAPTASWAR please visit www.saptaswar.org. Congratulations to Jugal Malani, Pradeep Gupta the joint CEO’s of Unique Industrial Products of Sugar Land and Ramesh Shah the philanthropist & National Secretary of EVF USA, for receiving the Champion of Literacy 2007 Series Award on Friday, June 22. The Unique Industrial Products was recognized for being an exemplary philanthropic company for supporting and promoting the efforts of Ekal Vidyalaya, a global organization that helps educate underprivileged children in India’s countless villages and rural landscape. They are following the great leader Swami Vivekananda’s message, and together they are making a difference. Ekal Vidyalaya is a unique concept that is bringing non-formal education to the doorstep of a villager, where children are offered five years of schooling free. Ekal Vidyalaya Foundation is committed to the eradication of illiteracy from remote and tribal regions of India. This is more than just a literacy program; it is a people’s movement striving to bring value-based primary education, hygiene, healthcare, women’s empowerment and community development. In USA our theme is “One Sponsor, One Dollar a Day, One School, A Village Transformed, India On The Rise”. Villagers' Own Schools: The village plays a significant role in the Ekal Vidyalaya process. First, villagers are surveyed to gauge their interest in non-formal education. 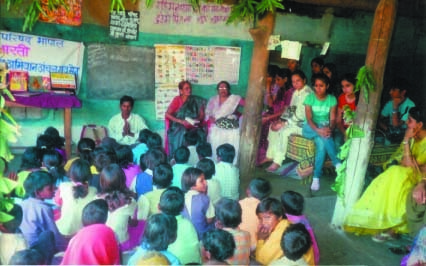 Where there is sufficient interest, villagers are encouraged to form a committee to oversee the school. The committee nominates two potential teachers. With Ekal Vidyalaya Team and the selected teacher, the village committee helps determine the location and timings. The committee is also responsible for generating interest in the educational process and in addressing any issues that may arise during the school year. The Best Guarantee: The best guarantee of Ekal Vidyalaya's success is the involvement and participation of the villagers. Before it selects a village, Empowered Committee ensures that the village has sufficient interest in the process. The Ekal Vidyalaya belongs to the village; thus, village involvement is important to the Ekal Vidyalaya's development. In addition, a group of dedicated full-time workers help maintain the schools' regularity and consistency in the level of education. Furthermore, prominent urban families serve as 'caretaker families.' 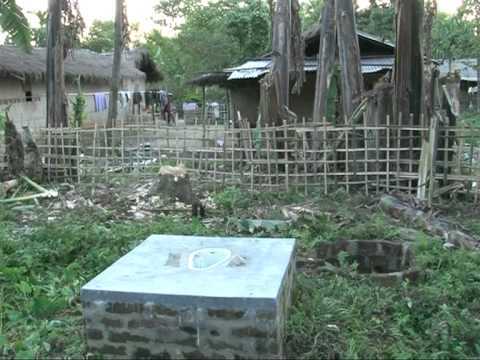 They regularly visit the schools and interact with the villagers. 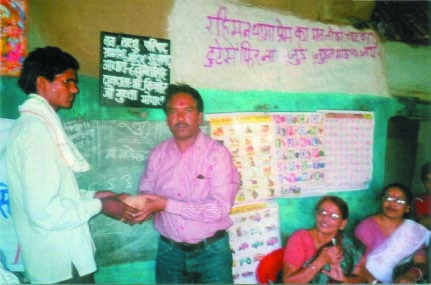 Community involvement and participation thus proves to guarantee in Ekal Vidyalaya's success. Ekal’s cost-effective methodology and dedicated staff allows Ekal to run an entire school for merely $365 per year. This budget includes educational materials, teachers’ remuneration, and administrative costs. Ekal schools have an average of 30-40 students between 4-15 years in age. The focus is basic literacy and character building. All study materials are provided free of cost to the students. Every project has its own challenges and over the years our biggest challenges have been to find dedicated teachers and then train them in their own area. Now a day’s biggest challenge is to find dedicated volunteers to reach more places and also to monitor quality progress. Besides that ‘Middle Schools’ programs by Ekal are under consideration where the emphasis will be on creativity and teaching courses for economic self sufficiency. Ekal’s core philosophy is to inspire educated Indians, both in India’s cities and abroad, to invest in the education of their rural counterparts. The NRIs in USA can support EVF USA by donating just one dollar a day ($365 per year); they can sponsor one school and transform an entire Indian village. Their donations are tax-deductible - Ekal Vidyalaya Foundation of USA is a 501(c)(3) non-profit organization Tax ID 77-0554248. We request our patrons to ask their family members, friends and colleagues to join the movement and if there is a corporate matching program, please let us know. There are many organizations and foundations they give grants for education, if they are aware of these please let us know and we will contact them. Also now Federal employees can make direct payroll deduction and help Ekal movement. At present Ekal Vidyalaya Foundations have been established in Australia, Canada and Hong Kong. We urge all NRIs to join the movement because this is our India - this is our community. Other countries are very impressed by the Ekal movement and we have been receiving enquiries from them to know the process so that they can adopt this model for rural and tribal areas of their countries. Gandhi Memorial Society, INC based in Jacksonville, USA says that Ekal Vidyalaya is implementing Mahatma Gandhi's concept of basic education on a voluntary effort basis among the deprived children. They have appreciated the work of Ekal by sponsoring 3 schools for one year. The RICE club has been busy collecting contributions from friends and families. At this time, the total amount is sufficient to fund three schools. I am still getting a few private donations and am raising money through sales at my school. Orlando: April 9, attended by 300 audiences. Jacksonville: April 10, attended by 300 audiences. Tampa: April 11, attended by 900 audiences. Orlando Private concert: April 14, attended by 150 audiences. Ocala: April 16, attended by 200 audiences. We partnered with local Gujarati Samaj chapters at Jacksonville, Ocala and Tampa. Sri Ramesh Bhai Shah also attended Orlando, Jacksonville and Tampa program. In all programs numbers of attendees were twice than previous years. Sanjeevani takes audience down the memory lane with some vintage songs from Noorjahan, Shamshad Begum, Geeta Dutt, Lata Mangeshkar, Asha Bhosle and Sanjeevani's original songs. Amit Mehta also sang and that provided the variety the audience typically looks for. The program was well received by the audience. Sanjeevani also sang Telgu, Gujrati and Marathi songs on request of the audience. Sanjeevani did a good job of promoting Ekal through appeals between the songs. She also kept the audience engaged and connected with them through dialogues. She invited audiences to the dance floor and also sang dudes with them. All artists are very simple down to earth and very easy to deal. Dream out Loud DVD was played after 60 to 90 minutes of music. We collected/pledged about 680 schools. Overall all 5 Florida program were quite successful. President Mrs. Pratibha Patil on Wednesday, April 7, 2010 conferred Padma Shri Award to Gujarati-origin US based NRI Dr. Sudhir M.Parikh in an impressive function in Rashtrapati Bhawan. Dr. Parikh has already been honoured with "The Ellis Island Medal of Honor", the "Pravasi Bharatiya Samman" for his outstanding contributions in society and has become the only Indian American to receive all three most prestigious awards. COLUMBUS 6/7/2008 PANDYA GROUP Jagdish Phuloria 614-214-8778. Mr. K.Venkatesh S/o Sri P.K. Krishnanmurthy, Vice- President, FTS Kochi Chapter, joined Ekal Vanayatra to Pinacandy, Manthwadi, Wayand dated on 7th April 2010. He was highly moved by the services rendered by Ekal to the tribal children in the remote regions. He was enthusiastic in interacting with the children and very much impressed with their conduct and excellent manners. 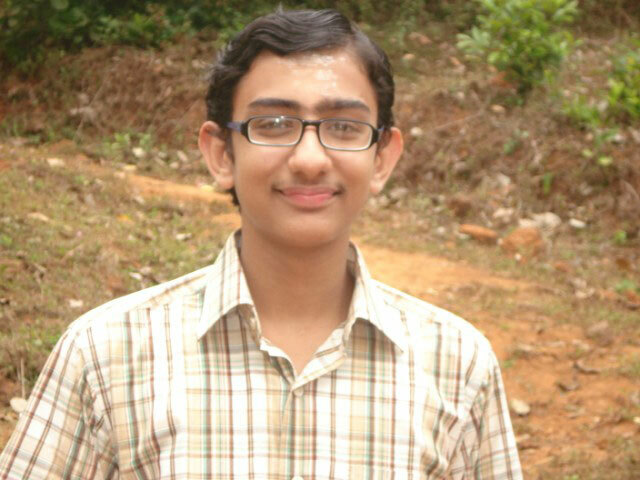 Mr. Venkatesh is a class 10 student in Bharatiya Vidya Bhavan School, Girinagar, Kochi. 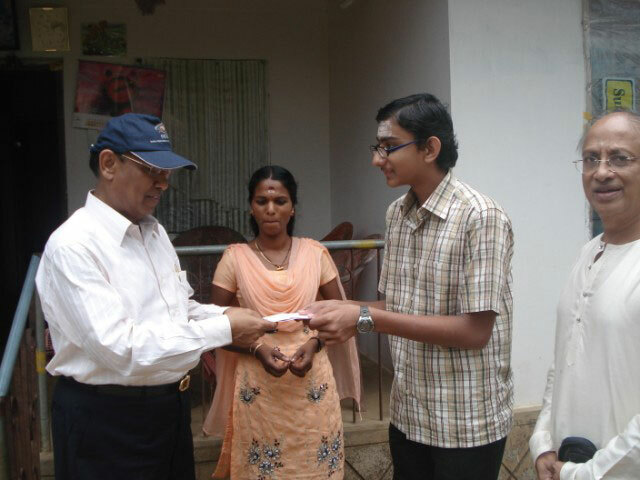 He received Rs 800/- as prize money for quiz contest and service fee for temple rites. He offered the entire sum of Rs 800/- to sponsor 2 children out of the money earned by him. FTS wish to express appreciation for the spontaneous gesture on the part of this youngster and wish him all success. The Rotary Club of Coimbatore Millennium came for Vanayatra on the auspicious day of Gandhi Jayanthi on October 2, 2009 to the village called Kaaliyur in Ooty Anchal. There were around 24 children in the Vidyalaya. After the club members’ arrival the Acharya guided the children and Sri Poovarajan (Kshetra Abhiyan Pramuk) explained the regular functioning of Ekal Vidyalaya. They were inspired by the Ekal Vidyalaya which motivated them to become part of FTS also to bestow the Vocational service award. The award also includes medal and citation. It was handed over by Rtn. Capt. 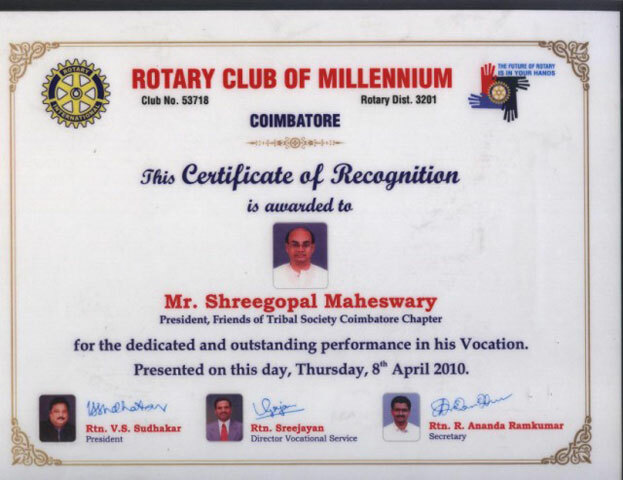 Mathews – Rotary District Governor (RI Dist. 3201) during his official Visit on 8th April 2010. 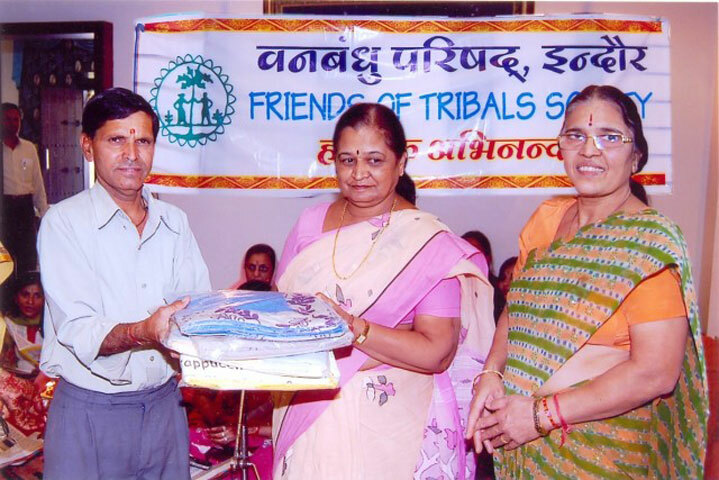 The Welfare Department of the Government of Madhya Pradesh has selected the Friends of Tribals Society for the coveted ‘Thakker Bapa Rashtriya Samman’ for the year 2009. Besides the Certificate of Appreciation a cash of Rs.200,000/- is also included in the award. 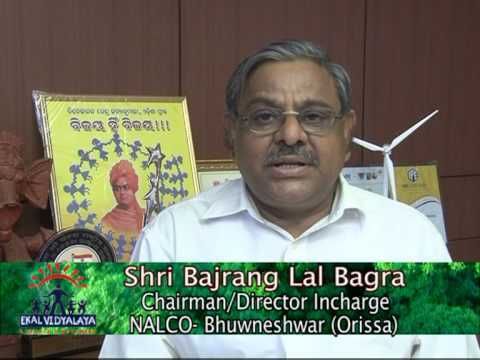 The Award will soon be given in an appropriate function in Madhya Pradesh capital Bhopal. The Bhartiya Lok Siksha Parishad organized a ‘Kavi Sammelan’ on the 11th April 2010 in New Delhi. The FICCI auditorium was full to listen to the famous ‘kavis’, which included Sri Hariom Pawar, Sri Pradip Chaubey, Sri Sunil Jogi, Sri Shahnaz Hindustani, Smt Anju Jain, Sri Gajendra Solanki and Sri Rajesh Chetan. The master of ceremonies was Sri Rajesh Chetan and the convenor was Sri Jagdish Mittal. Many dignitaries including social workers and industrialists and businessmen attended. Friends of Tribals Society (FTS), Indore Chapter, ladies wing organized a musical “Sunderkand” on the auspicious occasion of Ramnavami on 23.03.2010 at the residence of Smt. Saraswati Maheshwari. Smt. Umashish Sharma, the former mayor of Indore was the chief guest of the programme. She inaugurated the programme by lighting the lamp. Smt. Geeta Mundra, President, Mahila Samiti Indore, Smt. Saraswati Maheshwari, Smt. Vidya Muchhal welcomed the guests. Smt. Madhu Biani and Smt. Shakuntala Shekhawat who came from Mumbai to perform the “Sunderkand” were welcomed warmly. All the attendees got overwhelmed with the chanting of “Sunderkand” and sweet Bhajans. The programme was carried on about 3 hours. The exhibition of Lord Rama, decorated by Smt. Shreya Maheshwari was the point of attraction. 40 pair of Kurta Payjama were given for the fulltime volunteers of Khargone District. Smt. Vineeta Jaju gave the vote of thanks. Friends of Tribals Society (FTS), Bhopal organized a Vanyatra on 21st March, 2010 in Suagarh and Jamunia villages under Raisen Anchal of Madhya Pradesh. We all got collected in hotel “Sarthak Malviya” at 8.00 o’clock in the morning. Sri Suresh Kumar Chowkse, President, FTS Bhopal welcomed all the 43 visitors and departed to Raisen at 9.00 AM. We reached Vikramgarh at 11 AM where Sanch Samiti members welcomed all of us and arranged the breakfast. From Raisen our team reached Jamunia village via jungle where Village Samiti and Ekal School children welcomed us in their traditional manner. After that we all reached Ekal School with the villagers. In Jamunia village school, Acharya ji was teaching the children. Smt. 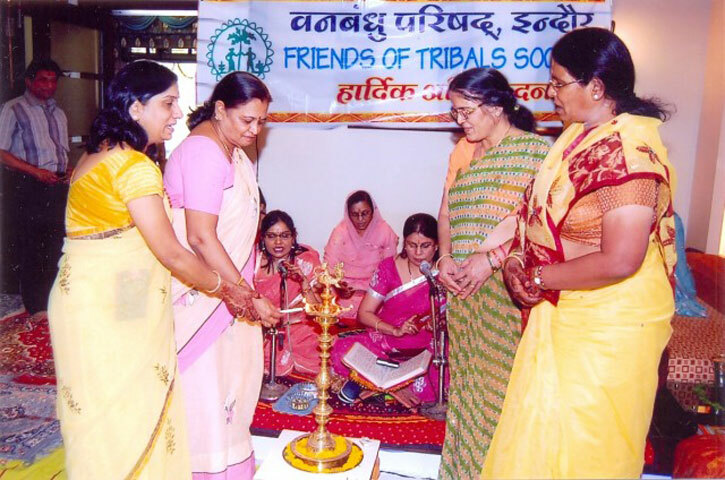 Uma Sodhan, President, Mahila Samiti, FTS Bhopal and Smt. Kiran Agarwal asked the questions from the children. The answers were satisfactory. We distributed teaching material, sweets and chocolates to the school children. Kshetra Prashikshan Pramukh Sri Mukesh Karn introduced us with the villagers. The visitors Sri Sanjeev Agarwal, Sri Manish Gupta ji, Smt. Indira Gupta, Smt. Dipali Gupta and Sri K.S. 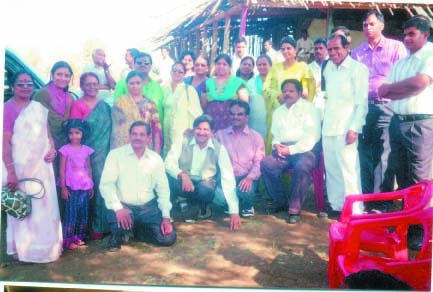 Dhillan welcomed Acharya Sri Harinarayan, parents of Acharya and Villager Pramukh. After this all the visitors reached Suagarh Ekal School. Village Samiti welcomed warmly to all of us. We reached Ekal School with the playing drums, band and songs where Acharya conducted the school. Ekal School children performed alphabet knowledge, national anthem, stories and Surya Namaskar. We distributed teaching material, sweets and chocolates to the school children. After that introduction was made between the Village Samiti and members of Vanyatra team. Sri Trilok Jaju, Smt. Kanchan Gupta, Sri Rajesh Gupta and I welcomed of Archarya Sri Hanumant Singh, parents of Acharya and Village Pramukh. 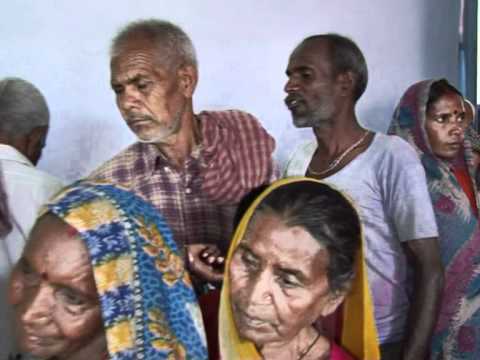 The villagers organized a Vanbhoj Dal-Bati (food) that was very appreciable. After taking food Vanyata team departed to Bhopal. In back journey, Vikramgarh Sanch Samiti members arranged tea and a programme of telling our Vanyatra experience at Vikramgarh. We took tea and shared our experiences with them. All the visitors praised this Vanyatra. Especially Sri S.K. Dhillan, Sri Manish Gupta, Sri Kuldeep Kaul, Sri K.C. Jain, Sri Ashish Agarwal and Smt. Indira Gupta told that in the lac of basic needs, to provide the primary education, health education and empowerment education is a great work. It is the real service to humanity. It is a nation building work. We all came to know the reality of that children and assured to give the support to Ekal cause.